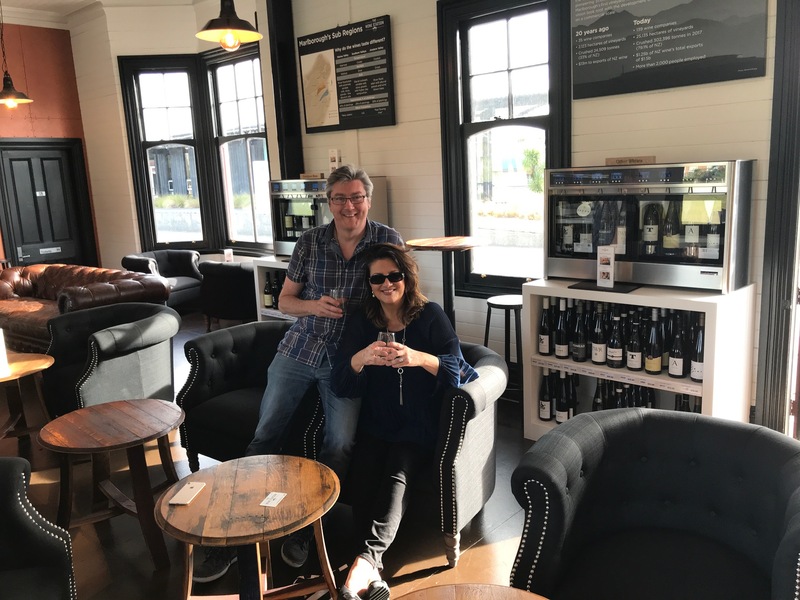 So, yesterday we were in Marlborough country – Blenheim to be precise – and the whole area is not only beautiful but it offers so many great opportunities for wine tasting. It’s simple, you put your credit card behind the bar (yes, really!) and they give you a key card which you can use to operate the special ‘kiosks’ which give you measured amounts of your chosen wine, all kept at the appropriate temperature. You can try a ‘slurp’ for a couple of NZ dollars (about a £1) …Or buy half or a full glass. We opted for trying lots of ‘slurps’ – and to our palate, the Sauvignon Blancs from the Wairau Valley were the best, and tasted like pure sunshine in a bottle, with zesty grapefruit, passion fruit and cut grass notes. 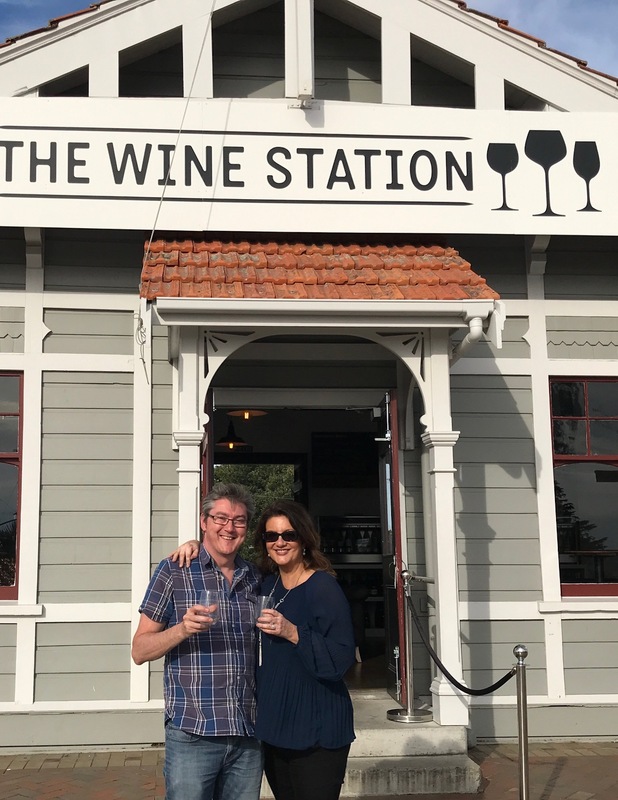 This particular wine tasting place was on the railway station – literally, you can get off the train and step into wine tasting land. A business idea for the commuter belt in the UK perhaps?